more than 250 citations and helpful websites. 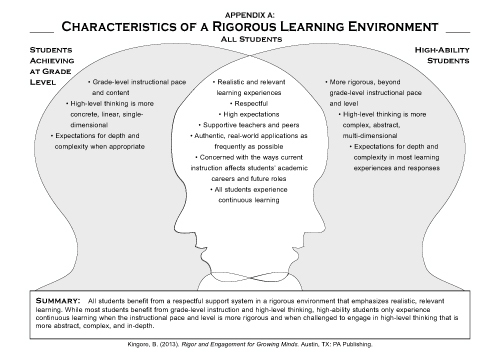 Current research moves the focus of education from mastering content toward a major concern for rigor, relevance, depth, clarity, and understanding how instruction influences all students' continuous learning and future life in college or the work place. Explore hundreds of ready-to-use ideas and learning experiences to realistically help you transform your classroom into a rigorous learning environment. 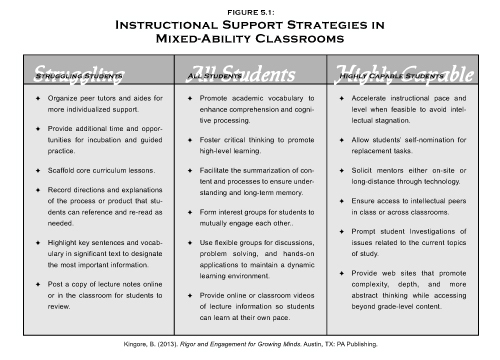 Implement the CCSS while lifting standards for high-ability students. Use assessments that provide actionable data aligned to required instruction. 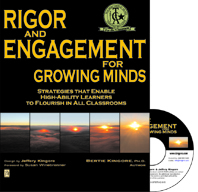 Transform lessons and products with rigor, relevance, and higher-order thinking skills. Engage students so they are motivated to exert the effort required to reach higher achievements. 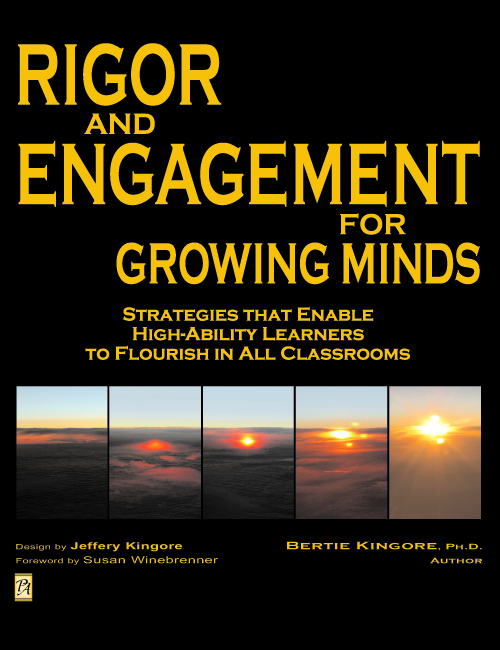 "Rigor and Engagement for Growing Minds will become your most user-friendly tool in achieving these goals. I know you will enjoy the experience, and your students will be re-invigorated to work at their top levels of challenge. 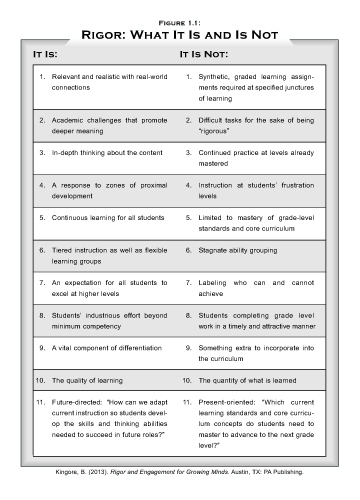 Refine assessments to guide instruction and benefit learners. Dr. Bertie Kingore is an international consultant who has worked with students, their teachers, and their parents for over 30 years. Recognized for her humorous and practical presentations, her energetic sessions leave teachers revitalized and eager to implement her shared ideas and learning experiences in their own classrooms. She has received many honors including the Outstanding Alumnus Award from the University of North Texas where she earned her Ph.D. She is a past President of the Texas Association for the Gifted and Talented and was also recognized as the first Texas Gifted Educator of the Year.